Digital overhead projectors, projection screens, and AV equipment mounting accessories are all a part of our complete audio visual solution at Focus Audio Visual. Serving South Bend, Indiana, Northwest Indiana, Chicago, IL, and Western Michigan, we're an experienced AV dealer and consultant for corporate to small business AV environments. From educational plasma display technology and wireless LCD/ LED projectors to corporate boardroom digital overhead projectors and data/video projectors, Focus Audio Visual supplies the leading digital projector name brands like Dukane, Sharp, Panasonic, and Da-Lite operating as systems or stand alone. Ultra short throw, short throw, standard throw, table top, ceiling mounted, portable and mobile are all considerations in the digital projector choice. We pride ourselves on our product knowledge and superior customer service in this important area of electronic AV presentation technology. We keep on the cutting edge of audio visual innovation. For example, plasma displays have radical changed the landscape for corporate and educational presentations. They deliver bright images and clear sound in any setting. Some have inputs for S-VHS, NTSC, PAL and SECAM formatted for video for easy use, anywhere around the world. 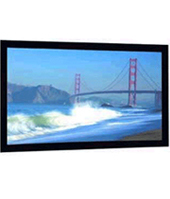 Plasma displays provide high resolution impact in a fully lit room or public area with flicker free full color screens. 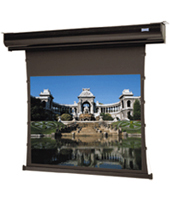 These presentation systems can operate smoothly even when multiple windows are open. Many feature on-screen menus for image adjustments, an adjustable tilt stand and built-in speakers for true multimedia applications. 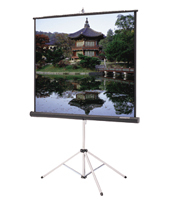 Focus AV offers the latest and a large selection of screens. These breakthroughs allow detailed digital video, text or data screen images from PC, laptop or notebook to be clearly viewed from a distance. How many people will at the presentation? This helps determine the size of the projected image that's required for everyone to easily view the presentation. As the number of people increases, the image must also get larger and when the image expands, the projected light is spread out across a greater area. This reduces the apparent brightness of the projector. By knowing the approximate amount of people in attendance, we can determine the appropriate number of brightness, or lumens needed (generally 2000 to 7500 lumen projectors), as well as the optimal screen size for your presentation. How much ambient light will there be? A dark room will provide the best image regardless of projector brightness. However, most presentations require some lighting for note taking, eye contact, and audience interaction. There are different levels of lumens be considered for the home theater, corporate or conference room settings. Focus AV will survey the situation and recommend the best option for both indoor or outdoor presentation settings. The following technical points are some of the considerations for best projector usage. The type of material you're presenting will determine the appropriate native resolution for your projector: SVGA resolution projectors (800x600) are best for displaying large text or less detailed images. XGA resolution projectors (1024x768) are the most common and are compatible with the vast majority of PCs and DVD players. They're best for showing detailed PowerPoint slides, normal sized fonts, and high quality images and videos. SXGA (1280x1024) and SXGA+ (1400x1050) resolution projectors are appropriate for displaying engineering drawings, digital photography, HD applications or other images of a highly detailed technical nature. Keep in mind that the best resolution for your projector is the resolution of the computer you intend to use with it. If you typically use a notebook computer with XGA resolution, you'll want a projector with the same native XGA resolution in order to get the sharpest and cleanest image. Similarly, if you normally use a computer with higher than XGA output, such as SXGA+, you will get the best picture from a projector that has the same native resolution. As noted above, there are always presentation considerations, such as ambient light, limited room configurations, and budget restrictions, that affect the ultimate AV equipment that we'll recommend. 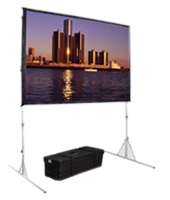 In the projection screen space, Focus AV offers a wide array of options from the best manufacturers like Da-Lite, from motorized projection screens to manual wall or ceiling, fixed frame wall or ceiling, tripod, table top, portable, and pull down screens to address each unique situation. Everything you need for clear, crisp presentation via a screen or multiple screens. We'll make it easy for you by giving you all the information you need to fully understand the audio visual requirements of your individual screen application. 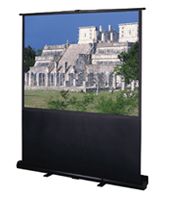 The screen fabric recommendations will be based on our years of experience in many, many settings that qualify us as top source for projection screen technology. These recommendations will take into account all of the details such as major projection methods and applications such as home theater and corporate conference and meeting rooms. Given the myriad of digital projector and projection screen presentation considerations, we'll consult, design, and install the "right" projector solution for optimal viewing and value, meeting budgetary requirements. 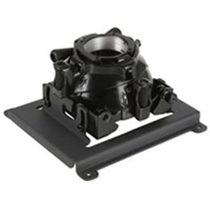 Projector mounts and display stands are designed for flexibility, security, and a clean professional look. They provide an excellent means of positioning the projector to achieve the optimal image size and viewing angle for your screen or viewing surface. 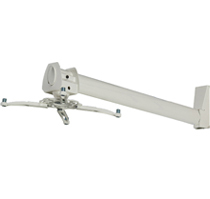 Projector mounts are a part of the broad selection of audio visual supplies that we maintain that are a necessity for the overall project to work as a productive system. Projector wall mounts, ceiling mounts, overhead drop ceiling mounts, and short-throw, dedicated, and universal projector mounts are some of the popular choices for the corporate boardroom and meeting room AV systems that we've created. 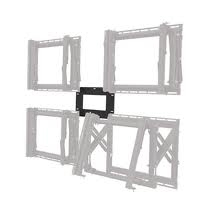 Home theater projector mounts are also supplied by Focus Audio Visual from the top manufacturers. 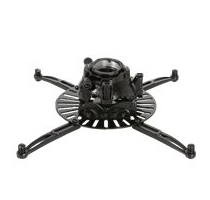 These AV products feature easy-to-use, quick adjust and release controls, and are very durable.